Finding aid only for Manuscripts Small Collection 1116. Chiefly letters to James E. Poe, a Warren County, Kentucky native, who later lived in Colorado and Washington Territory, from his family in Kentucky. They write of crops, weather, and their health. They also ask Jim to lead a sober life and consider returning home. Evidently Poe went west after a run-in with the law concerning the making of illegalalcohol. Also, data related to the collection. 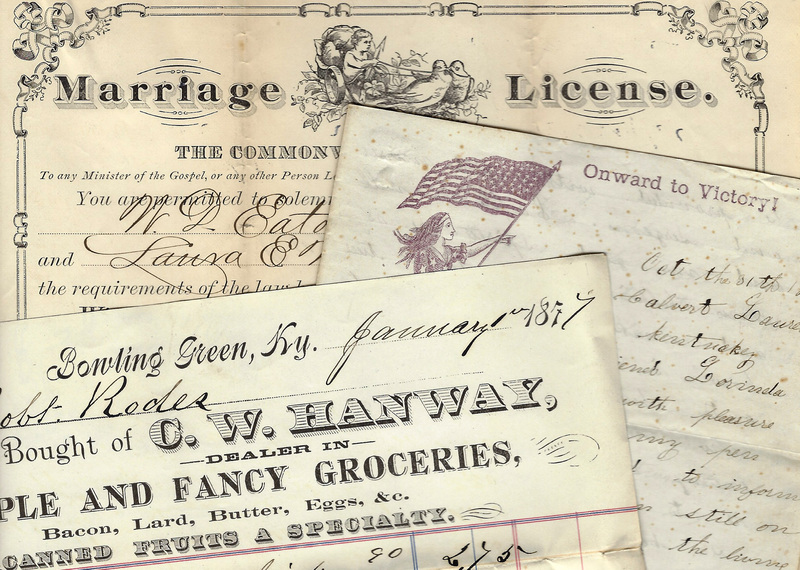 Folklife Archives, Manuscripts &, "Poe Family Papers (SC 1116)" (2013). MSS Finding Aids. Paper 3147.